Enjoy the natural beauty of a local park, the action of a softball game, or a family gathering in one of Takoma Park’s parks, pavilions or athletic fields! For information regarding Maryland-National Capital Park and Planning Commission Parks in Takoma Park please visit the Montgomery Parks website. Permits for various events and activities held in public parks throughout the city are required. Contact the Recreation Department at 301-891-7290 or recreation@takomaparkmd.gov before conducting business on park property. For more information about a particular park, look below or get the information in the current City Guide. 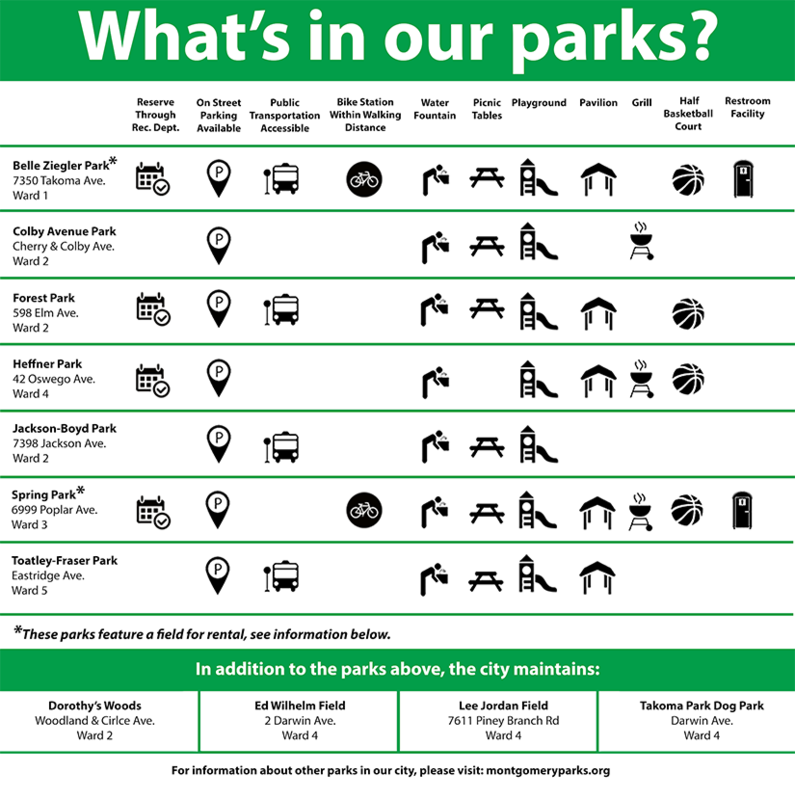 Click on the pictograph to check out the amenities in the various City parks! To check for availability or to request a shelter for your next event please visit us on ActiveNet. The Rental Requests page has detailed information on rental procedures and what is needed when renting a Takoma Park facility. Review Administrative Regulation No. 2011-1 for regulations governing public use, facilities rentals and general responsibilities of the user. Yes. Parks are permitted on a per day basis. Reservations must be at least 10 days prior to rental date for online reservations. All fees must be paid in full before a permit will be issued. Bring the permit to your event. How do I request a shelter or field for my event? 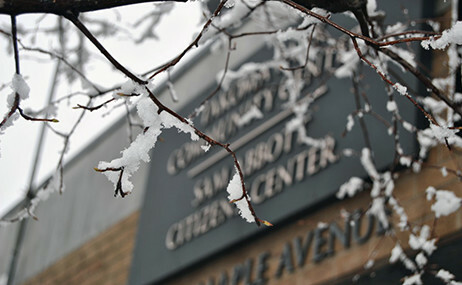 For a shelter requests online visit ActiveNet. Park usage fees are available on this page. What happens if inclement weather happens during my event? Permits are honored rain or shine. No, moonbounces are not permitted on public City property. Can I sell merchandise at a park? Sales of merchandise is prohibited on all City property outside of scheduled City events. What about set-up and clean-up times? Both set-up and clean-up times should be included in your rental requested times. You can request rentals and register for camps, classes online via Takoma Park's through ActiveNet.